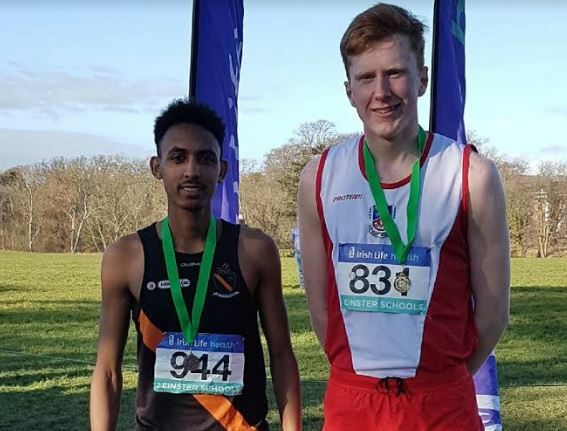 Clonliffe Sean O’ Leary was a majestic winner of the senior boys 6,000m race at today’s Leinster Schools xc hosted by Clonliffe in Santry Demesne. On a beautiful Spring day Santry looked just brilliant with a great course laid out by the crew. Recent good weather had the desired effect turning what was looking, a week ago, like a grim prospect into a superb looking Santry Demesne. The going was soft to firm, with lovely sunshine and little or no wind. It simply doesn’t get any better for cross country. The course builders reported for duty at 8.00 am sharp and just like the well oiled machine they are swung into action. Two hours later, job done and ready for action. 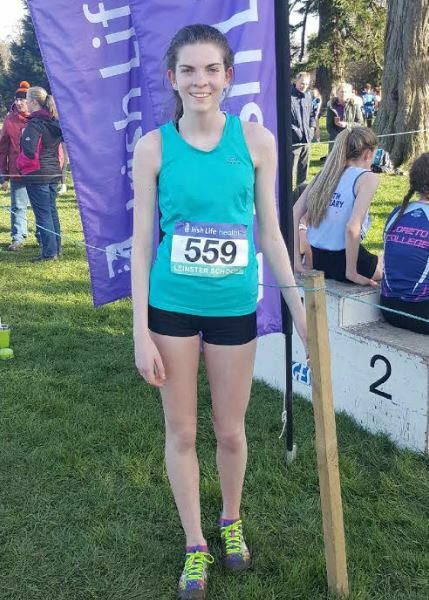 First of the Clonliffe athletes in action was Orla O’Sullivan who put in a very good run in the minor race over 1,500m with a top 30 finish. Next in were Jack Woods and Ronan Donohue both of whom ran very well in the minor boys 2,000m race. The junior girls race saw Naoise Cullen put in a brave run after a few weeks sidelined through injury. The inter girls ran over 3,500m 2 small loops and then the dredded walled garden 1500 lap. 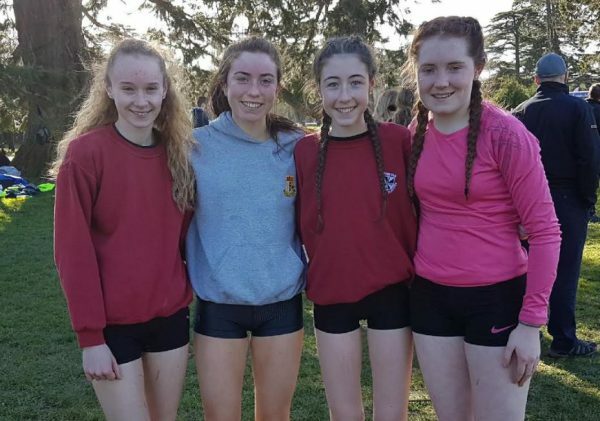 In this race Sarah Bateson was just outstanding with a stunning last lap propelling herself from 22nd to 12th and booking a precious place in the All Ireland final, and as a first year inter. Great runs also in this race by Alana Fitzsimons in 23rd, Aoife Hession 32nd, Ella Brown 39th and Vicky McDonnell in 51st. 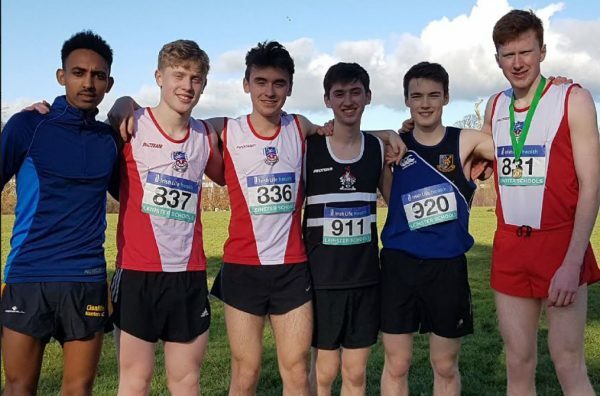 Likewise there was good Clonliffe representations in the inter boys 4,500m race and great runs from the lads. Daniel Stone was 5th, Aaron Cullen 7th and Daragh Carter 8th all now heading to the hills of Waterford IT in a couple of weeks time. A good run also in this race by Ian McAlweney placing 31st. Then at the end of the day the senior boys race saved the best to last. Sean O’ Leary took the race by the scruff of the neck from the gun and opened a lead of 10m however was chased hard and caught with a lap to go. Playing it cool he sat in and held his sprint until the turn into the final straight to take a very fine win and the Leinster title. Efron Gidey never really recovered from a bad start that left him 30m behind the lead pair but was still a comfortable 3rd place. Ben Guiden, a first year senior, put in a great effort and battled gamely to hold onto 15th place and the final All Ireland qualify place. 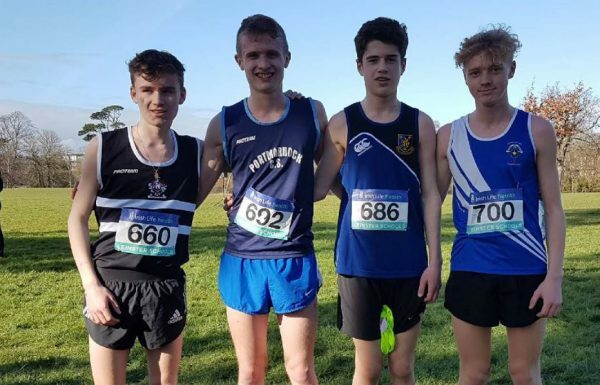 Stephen Cashin was a solid 21st, Jordan Byrne was 27th, Alex Murray 31st and Cian Bolger 40th. It was a great days cross country with all of our athletes running really well. Congratulations to those who have qualified for the All Ireland finals it is indeed a great achievement. 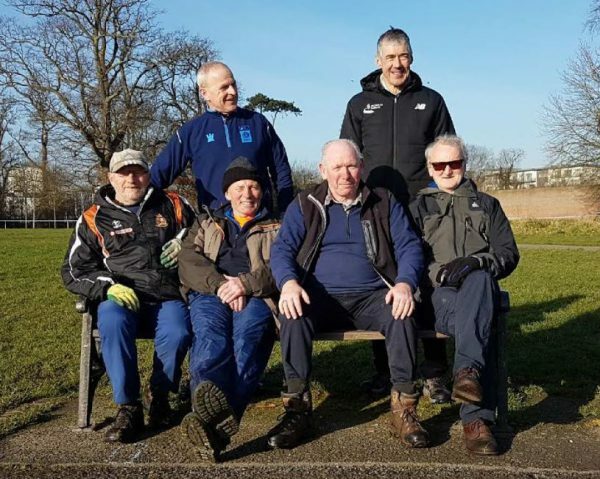 Also the event was another superb Clonliffe production so thanks and well done to all team who as always give freely and generously of their time. Nil desperandum.